Marketing departments spend a lot of resources creating visual content that’s often only ever used by the marketing team for outbound communications. While marketing teams are the primary users and beneficiaries of visual content, there are many opportunities for other areas of their businesses to add consistency and professionalism to channels they control. Ecommerce is one important area where many businesses have significant opportunities for adding visual consistency to their content and brand identity. In this post we’ll explore the challenges and opportunities facing ecommerce departments when implementing visual content consistency. We'll also look at tips for ecommerce teams to consider to help impact their bottom line with better visual content. Brand.com - The brand’s owned ecommerce platform where they have maximum control of visual content and branding. Click and Mortar - Distributors like Walmart, Target, Best Buy, Tesco, Home Depot and other retailers. They all have large online ordering platforms as well as physical locations. Click and mortar distributors offer a medium level of control on visual content and branding. Pure Players - Distributors like Amazon, Alibaba, eBay, ASOS, JD.com and others that have no physical stores, operating exclusively online. Pure Players provide the least control over the look and feel of visual content. However, they offer other paid opportunities such as premium ‘brand pages’ for more branding opportunities. Examples include: pages that rely on lifestyle and custom shots for product categories, customer service, warranty, returns, shipping, mission, history, resources, cause marketing, and many others. Examples include: product shots showing angles, labelling info, 360 images, size comparisons, instructional or how-to videos. Examples include: communication or pages for order confirmations, customer service chat, delivery status updates, and shopping cart reminders. Visual content across in-platform prompts. Examples include: e-promotions or discounts, opt-in communications like newsletters or promotion reminders, and platform experience surveys. Visual content across paid opportunities for in-platform advertising. Examples include display banners, navigation call outs, sponsored search results, and digital flyers or catalogues. Visual content across paid opportunities in-platform shopping resources. Ensuring visual content consistency across ecommerce channels has one undeniable advantage in that it directly impacts sales and success on those channels. Specifically, putting effort into visual content consistency across your brand’s digital presence dramatically increases sales across ecommerce channels, within physical stores, and on emerging social channel ecommerce. The most obvious opportunity that comes from ensuring visual content consistency for all types of ecommerce channels (brand.com, click and mortar, and pure players) is that it can have a noticeable impact on sales. Global ecommerce consultants, e-Business Institute, has data showing how conversion rates to sales for product pages on ecommerce sites rise dramatically and fall dramatically depending on the level of thought and complexity put into the visuals used. Beyond showcasing branding and products, visual content can motivate shoppers to make purchases when they see the details they need about a product in a place where they can immediately make purchases. Another major opportunity that comes from putting effort towards visual content on ecommerce channels is the impact that effort has on offline purchases. Commonly referred to as 'showrooming, the ROPO effect (Research Online Purchase Offline) is a very undervalued aspect of ecommerce, and one that visual content influences significantly. In a report from Deloitte on digital influence in retail, they estimated that 56% of all in-store purchases were influenced by online activities. Online visual content experiences are a big part of the research that influences and pushes people to make purchases even after they’ve left the digital shopping mindset, and stepped into stores. In annual seasonal research from the National Retail Federation, they found that 80% of adults that used their mobile phone in-store to research products went on to purchase items in the store. 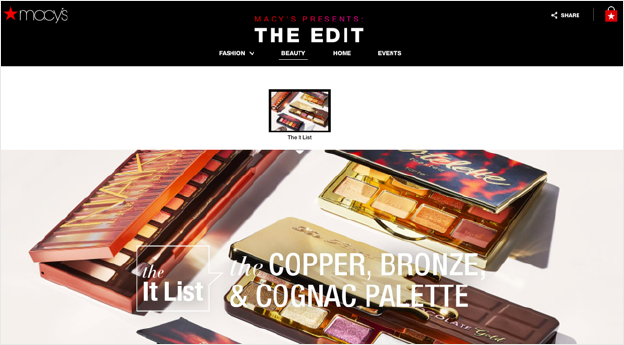 This further cements the importance of consistency in visual content for ecommerce. Look no further than your own shopping experiences this past month to support this. Most of us know the frustration of looking for a specific product in a vast ‘big box’ store (aka Click and Mortar). We end up on our phones while in the store to see if that location has stock or not. Similarly, we try to guess if a product from an online store will fit and look good in a particular setting at home before going into a physical location to confirm and make a purchase. These simple examples illustrate that ecommerce visuals are a regular and easy to overlook influence on purchasing decisions that happen offline in stores. Ecommerce has gone beyond the simplicity of “buying something on a website” to a full series of interactions between brands and consumers. Interactions with brands are increasingly fuelled by content, which then triggers people to purchase goods. The idea of going to Facebook or Instagram to buy products still sounds foreign to many of us. However, 2017 saw a massive increase in ecommerce on these channels as they continued to develop and implement native ecommerce focused features and ads. Facebook now boasts 550 million users and 18 million products on Facebook Marketplace. Instagram is seeing similar adoption, although much earlier in its development. With this growth in mind, the idea of branding everywhere to sell everywhere is more and more important for marketers. This requires visual content consistency to ensure a seamless shopping experience for the consumer regardless of the ecommerce channel. In the example below, we see how the digitally native cosmetics brand Glossier utilizes Instagram tagging to drive more product information about their SKUs. From there, they send people to a dedicated landing page within Instagram where they can shop and make purchases. 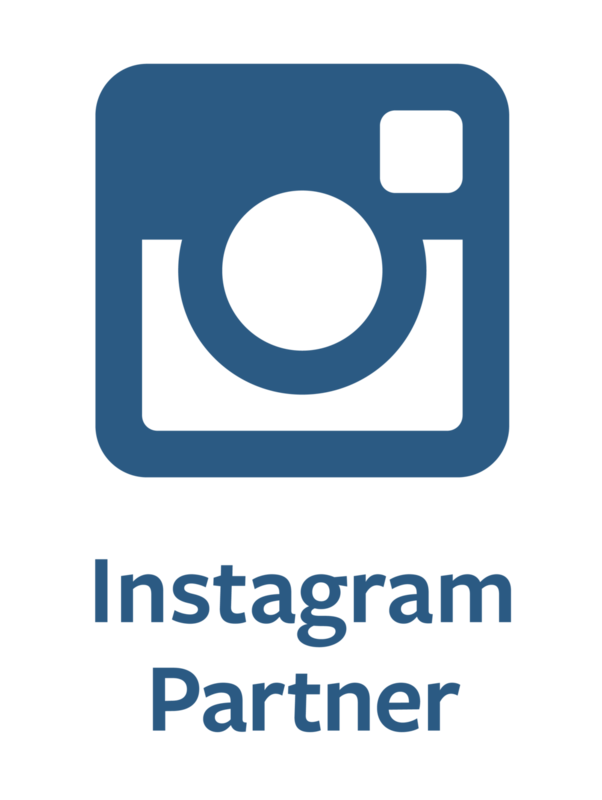 All of their visual content is created and optimized for the channel, focused on the highly visual insta-shopper. And with channels like Facebook starting to develop advanced ecommerce features to support specific verticals – such as with the new Marketplace features aimed at automotive consumers – marketers are truly just beginning to see how much possibility there is for social channels to dominate ecommerce, and how much visual content will be a critical part of their strategy. Regardless of the complexity of your business’ ecommerce strategy, the key to seeing the benefits of consistent visual content is to start today. Maintaining a visual content presence across ecommerce channels is simple enough to suggest, but requires commitment and dedication to see the long term results in conversion rates and sales. If you’d like more resources on the importance of consistent visual content on e-commerce channels, check out our recent webinar with the eBusiness Institute where we discuss how to implement visual content that delivers results. Also, if you’re interested in learning more about Shutterstock’s enterprise solutions, click here to request a demo and speak with one of our solutions consultants.